Most of the adults that come in to Rogue Combat Club have no desire to become the next Connor McGregor, Jon Jones, or Khabib Nurmagomedov. Honestly, most of the people that come in don’t know why they came in, but they do know one thing. They are bored out of their minds, and on the verge of quitting going to their gym. Same thing day in and day out. Walk in, talk to the desk person who doesn't know their name, they put their earbuds in, walk into the same boring treadmill, slog for 45 minutes watching CNN vs Fox on the screen in front of them, or lifting weights with Arnold wanna-be's asking "how much you bench bro?" Day in. Day out. Same Boring workout. Same crappy results.. 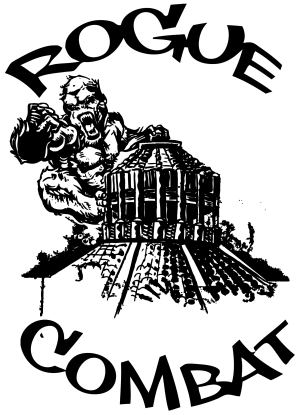 When I started training BJJ and Muay Thai, I didn't really know what I was looking for, but I knew there was something out their better than big box gyms. I HATED treadmills. Cardio was the bane of my existence. I HATED the big guys judging me for not looking like a meathead who can't scratch my own back. I HAD to find something else. I figured it out after my first class. I was tired. I was sweaty. But most importantly, I was smiling. I found exactly what I was looking for. This was it. I signed up the first night. That weekend, I was sore. It was like I forgot what sore felt like. Not a broken and abused sore, but the kind of sore that reminds you, you're not in that good of shape. I have shifted my training primarily to BJJ and Muay Thai, but still lift on occasion now to stay in shape for real training. Each class is a different challenge, both physically, and mentally. We are constantly learning new techniques, drilling them, and expanding our understanding of the arts. In 2 months, you go from complete novice, to understanding how to apply different techniques in different situations. The same 60 days in your boring gym, and you're trying to figure out how to get out of your contract. If you're one of the thousands of people reading this, and looking for a better option than dreading the gym, ask yourself why! Why go to a place to be miserable? If you're not excited to go to your gym, then find something that does. You should look forward to going to the gym. If Rogue is the place that does that, then I guarantee the only disappointment you're going to have is not starting sooner.